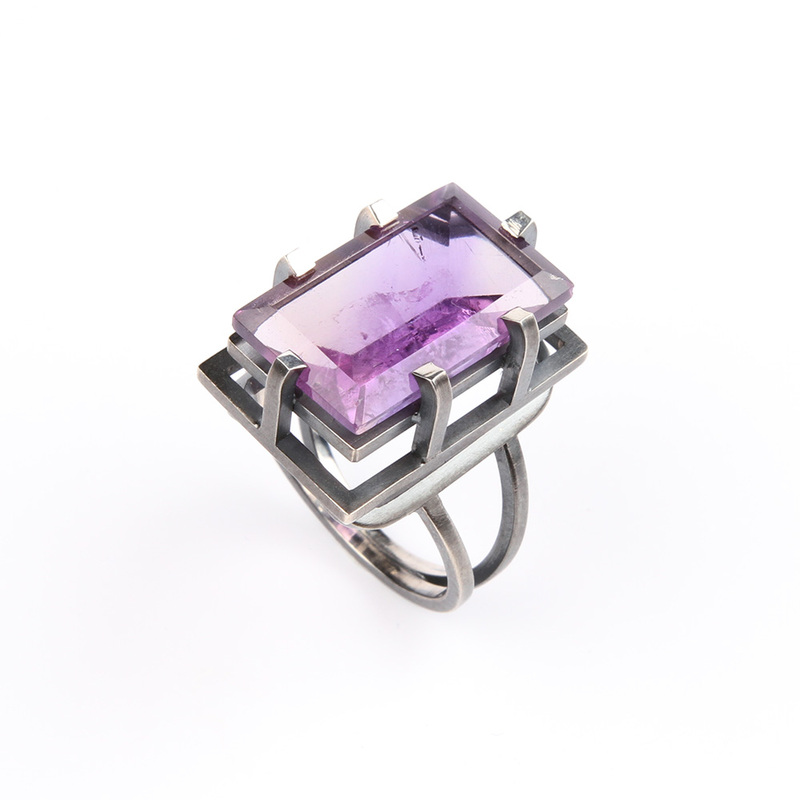 Gorgeous silver ring with amethyst. The ring is made of square silver wire. The silver is blackened. From above, the size of the stone is more than 21 mm. long and 14.5 mm. wide. The size of the ring is 18 mm. 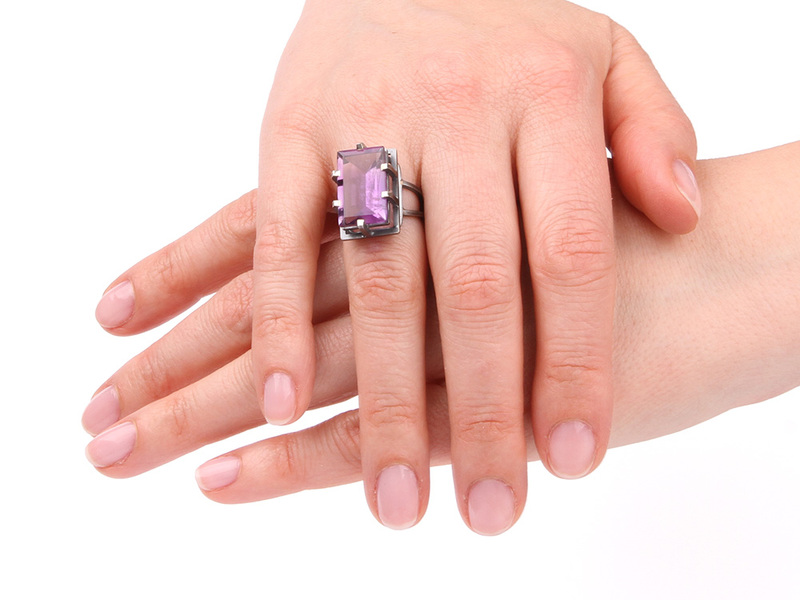 To tailor the ring size is a free service provided by our atelier. 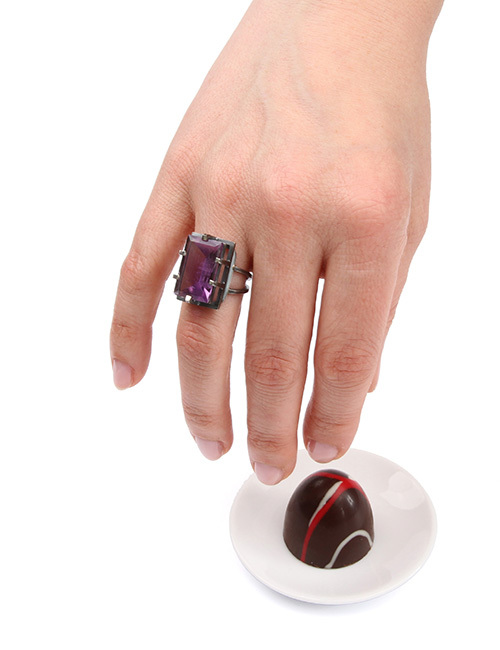 This ring is a unique one of a kind piece, hand crafted in our atelier in Wijnjewoude, The Netherlands. Our jewelry is provided with our Maker’s Mark.